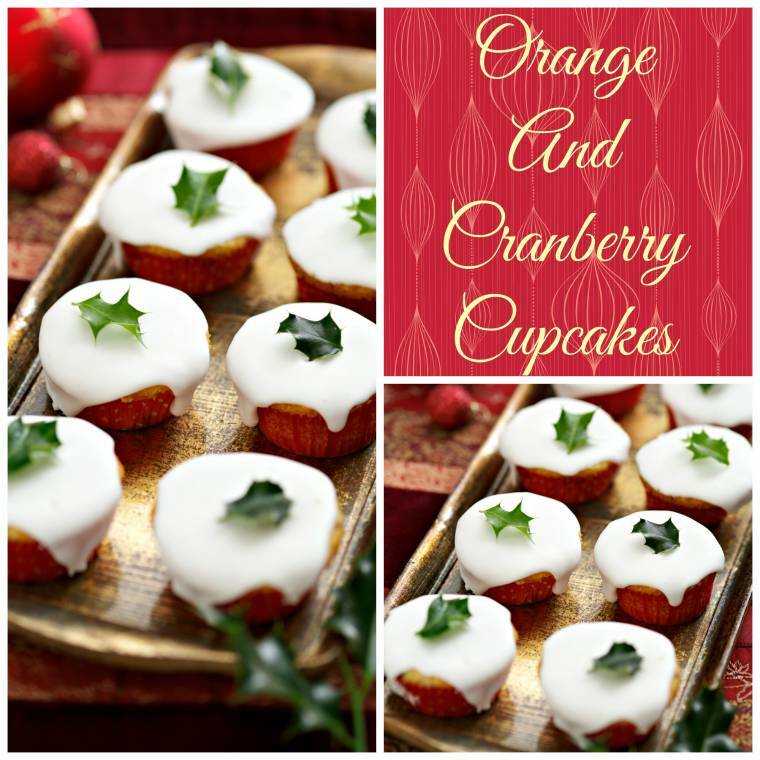 Fancy trying some orange and cranberry Christmas cupcakes? Heat the oven to 190C/Fan 170C/Gas Mark 5. Arrange paper cases in muffin or bun tins. Place the margarine, sugar, flour and eggs into a large mixing bowl and beat for about two minutes until smooth, light and fluffy. Fold in the yogurt, dried cranberries, orange zest and juice. Divide the mixture between the cases so that they are half filled and bake for 12 – 15 minutes, until golden. To make the icing, mix the icing sugar with the yogurt and mix until smooth. Tip: the icing should be runny and flow. Decorate each cake with a blob of icing and spread with a palette knife. Alternatively, leave to run to the edges of the paper case. Leave the icing to set. Cakes will keep in an airtight container for up to four days. "The Red Christmas Dress: Creative Mondays Blog Hop"
They looks so festive and pretty! Those cupcakes look delicious! Thanks for sharing your recipe. That sounds like a delicious combination of flavors.Here's my Wordless Wednesday! Oh no, you could replace them with something else?